My grandma made all her grandchildren a stuffed dog when we were little. In my family, we affectionately called our dog by the same name: Doggy. Here’s me with my doggy. Fortunately, she loves her doggy now, and gives him lots of hugs and kisses! 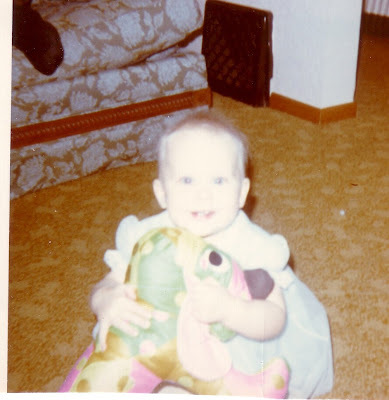 Bex is hosting Funky Foto Flashback over at Adventures of the Grigg Boys. Go see what funky foto she has this week!